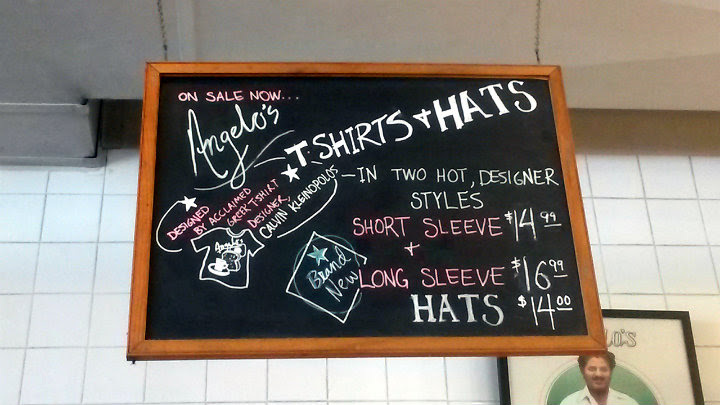 Angelo's is located on Catherine Street in Ann Arbor, Michigan. Angelo's has been around since about 1956. 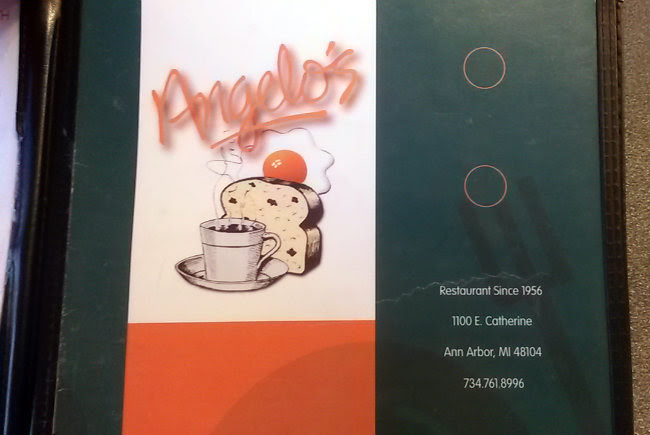 Angelo Vangelatos came to Ann Arbor from Greece, married, and started his namesake restaurant. 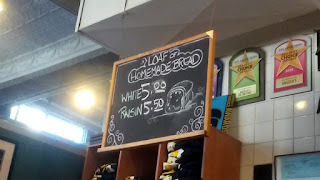 It remains a popular spot to this day. 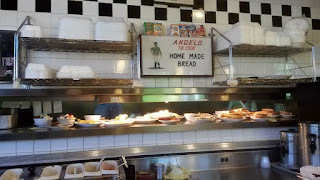 Many students/alums from the University of Michigan come here and/or recommend this spot to visitors. 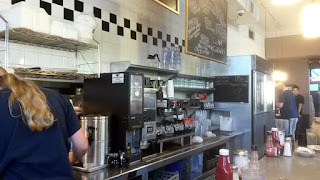 When I went at approximately 9:30 AM, the place was packed, with a line out the door. Luckily, because I arrived solo, I was able to swipe a seat at the counter with zero wait time. 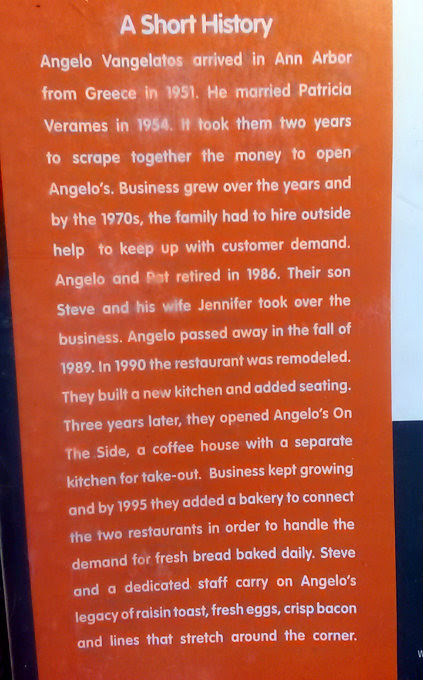 I would not be surprised to see 30-minute waits (or longer) at Angelo's. 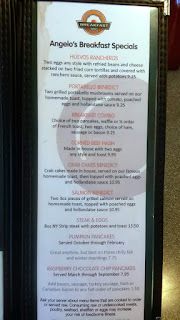 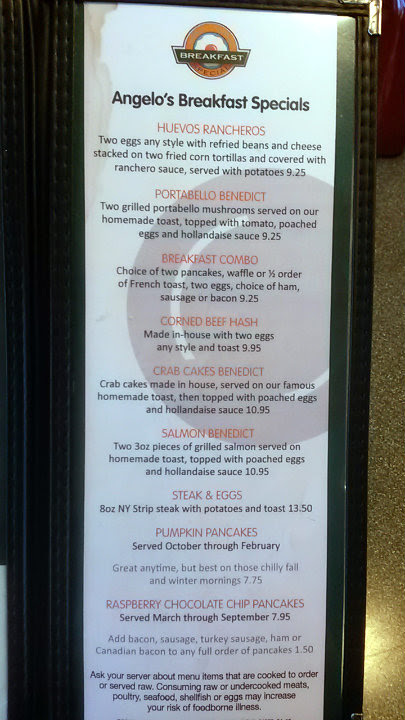 The menu carries your typical American breakfast and lunch dishes. 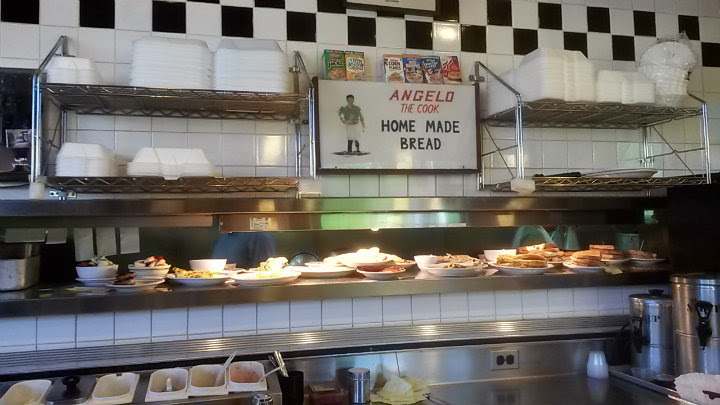 Angelo's, however, is more known for their house-made breads, which come in original and raisin form. 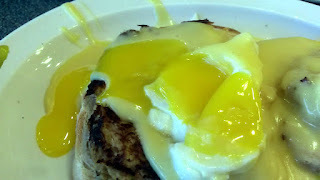 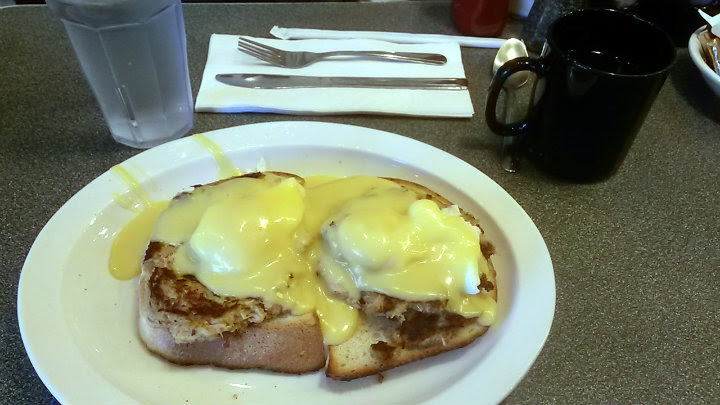 I tried one of Angelo's breakfast specials, the Crab Cakes Benedict ($10.95): Homemade crab cakes on Angelo's homemade toast, two poached eggs, and hollandaise. 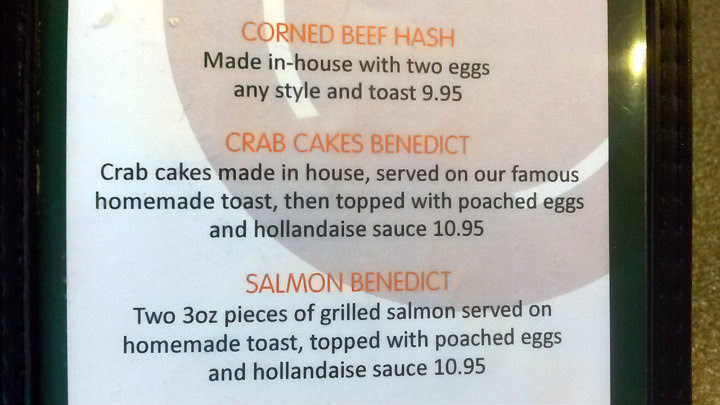 Outstanding crab cakes, light and delicate, seasoned properly. Good crunch on the toast, and the eggs were poached to perfection. 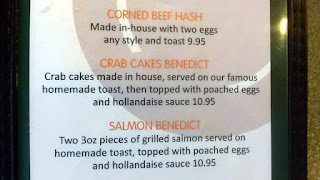 Quality hollandaise here. And at under $11 before tax, a heck of a deal. 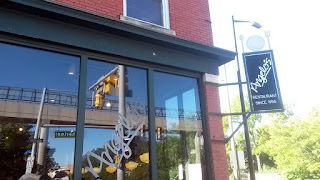 Because I arrived at the beginning of September, the University of Michigan was welcoming new students and returning students. 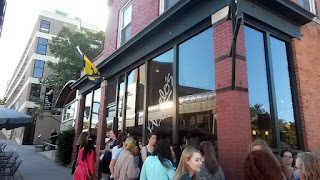 Students were taking their parents and their friends to this spot. 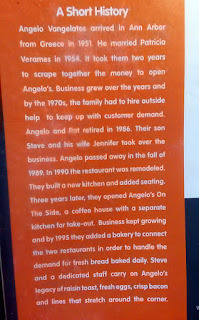 Angelo's was bustling big time. 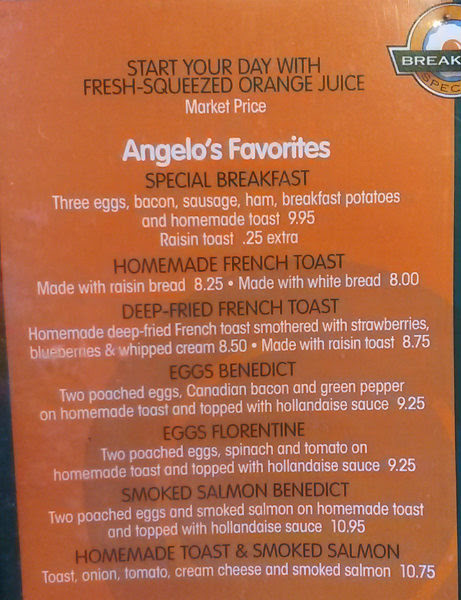 Honestly, this is what I miss about being in a college town of any type -- and none of them compared to the size and energy that Ann Arbor boasts. The cooks behind the window were pumping orders out faster than the servers could take them to the patrons. 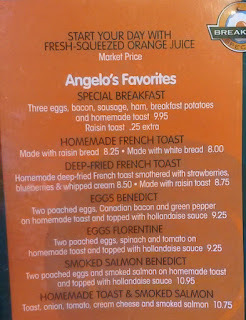 Waffles, French toast, and omelets were also very popular while I was there.